ST. THOMAS, ON – Railway City Brewing has announced details and release plans for its latest seasonal beer. The Witty Traveller’s tale opens with a potpourri of spices and fruit – sweet anise seed and subtle orange rind. As you delve deeper into the libation you discover clove and bananas alongside soft and sweet arrowroot biscuit with a short layover of bubble-gum before cleansing fresh-pepper and gingersnap. 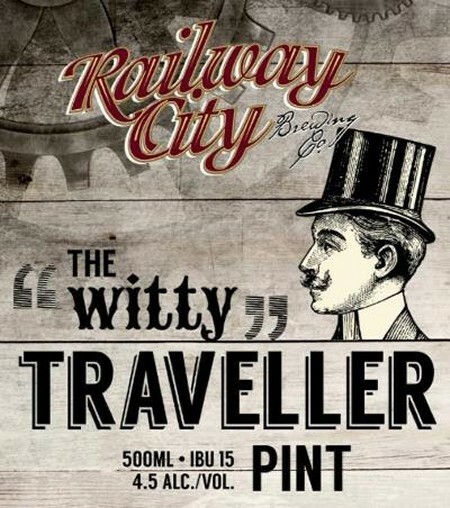 The Witty Traveller will be released this Thursday June 6th, and will be available in bottles at the Railway City retail store, and on draught at select bars and restaurants in Ontario. Pat is a moron. It’s delicious. Just tried it at brews and cues in Windsor. Stick to your bud lights, Mr. Long.